Samsung's mid-range 9 series gives Sony's X930E a run for its money, thanks to a very smooth and even image. At the high end of the TV market, you have Samsung’s QLED, OLEDs from LG and Sony—and not a lot else to choose from. 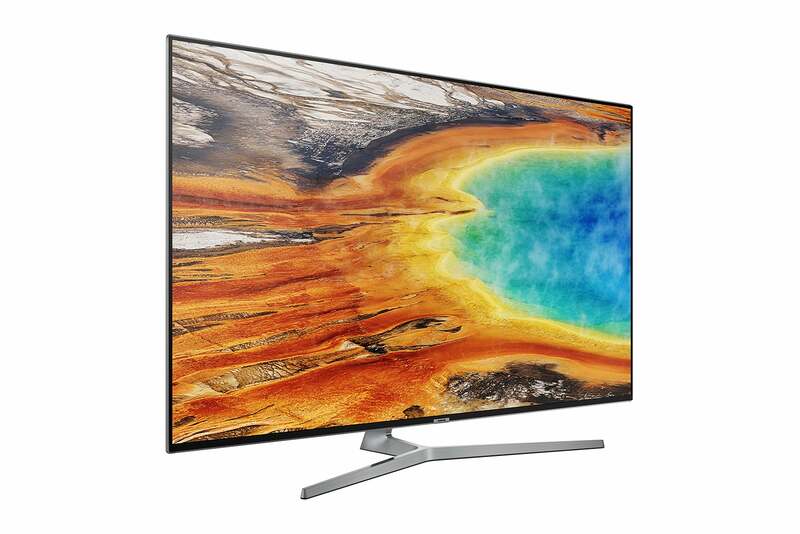 The mid-range, however, where Samsung’s MU9000 series Premium UHD TV resides, is rife with competent sets. The UN55MU9000 reviewed here ($2,000 MSRP available for $1,497.99 at Amazon) raises its head above the crowd by virtue of its super-smooth motion, excellent user interface, and stylish remote. Color on the other hand, is strictly run of the mill. The 55-inch class UN55MU9000 follows the modern thin-screen design: narrow at the top and thicker at the bottom (depth-wise), where the electronics are stored. The bezel is thin enough that it “disappears” during use. Between that and the stylish stand, the TV looks quite nice sitting on a table (or mounted on the wall). The MU9000 series is thin and handsome. The Premium UHD series features a scaled-down version of the One Connect breakout box found on Samsung’s SUHD and QLED TVs. If you’re not familiar, a breakout box is a separate box that’s connected by a single cable to the TV and “breaks out” the inputs and/or outputs. The purpose is to replace a bunch of cable connections with just one, making the whole deal easier to use and hide. The smaller version of the One Connect breakout box that ships with the MU9000 has no ethernet port—that’s on the TV. 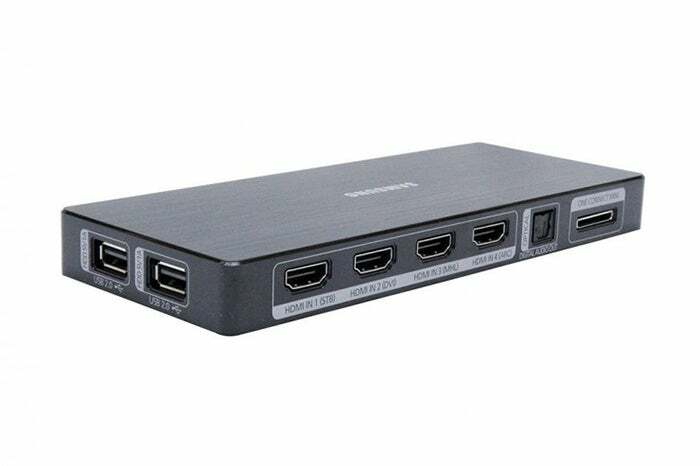 Oddly, though this version of the One Connect contains only HDMI, USB, and audio ports: leaving the ethernet connection on the TV, along with a single USB port. We understand the USB port, but running an ethernet cable to the TV somewhat defeats the purpose of a breakout box, though with 802.11ac Wi-Fi onboard, most users will connect to the network wirelessly. We can’t say enough good things about the latest Samsung user interface, which is featured on their better TVs and disc players. It’s simple, nicely laid out, and easy to navigate. Our only wish is that there was a way to quickly skip to the beginning or end of the row of apps, as this often involves an annoying amount of scrolling. 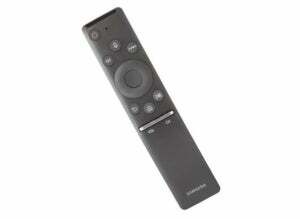 The MU9000’s remote is a study in effective minimalism. The One Remote remote control is also excellent, with just the right amount of buttons for control and skipping to functions on screen. It’s not as nice as the remote found on the Samsung Q9F we reviewed, with its multiple modes, but it’s darn close. It might be even better with couple of additional dedicated transport controls to make controlling video and audio media easier. 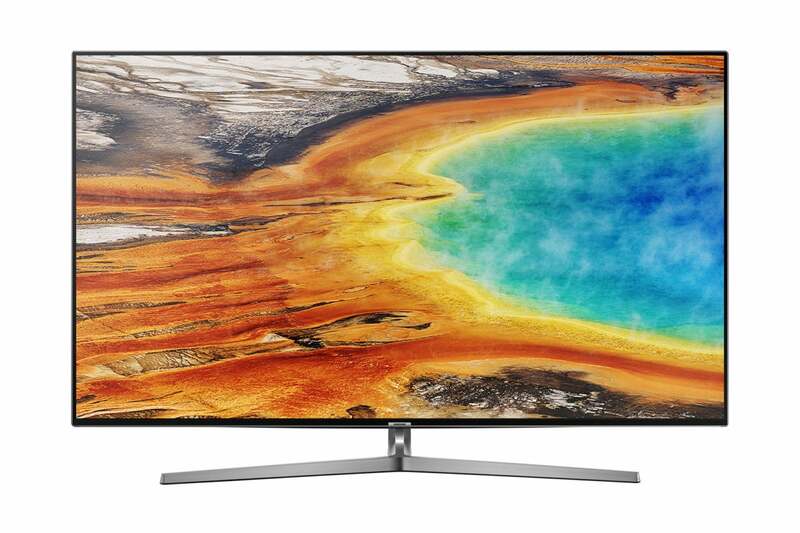 If you’ve seen Samsung’s QLED or older SUHD TVs with quantum dots, you’ll probably be a bit disappointed in the MU9000 series' color. If you haven’t, forget we mentioned it, because nothing else with an LED backlight compares either. As usual with LED, reds slide slightly to the magenta, greens to lime, and the entire spectrum skews slightly cool. Smooth motion with only the tiniest of artifacts is one of the MU9000's series' many strengths. On the other hand, the MU9000 handles motion superbly. We noticed little to no judder, and there was hardly any shimmer on detailed panning shots at the default settings. Samsung labels the MU9000 as having Motion Rate 240, which means the hardware refresh rate is 120Hz, and it does make a difference. You can present smooth video at 60 cycles per second, it just doesn’t happen often. There are plenty of picture and color tweaks for those who like to tweak, but Samsung has things set pretty well to begin with. We didn’t manage to do anything but screw it up. We should also mention that unlike many TVs, you can adjust the settings while HDR material is playing. HDR-10 content (Dolby Vision isn’t supported) was handled well for a 515-nit (our measurement) TV, with modestly brighter highlights and some improvement in detail in both darker and lighter areas. The default overall palette was tolerably light, not darkened to the point of distraction (as it is with some TVs in an attempt to make light sabers pop). But overall, you’ll never mistake this TV for a QLED or OLED playing HDR-10, or to be honest, Sony’s 700-nit X930E. Samsung itself states that to make HDR really pop, you need 1,000 nits. Screen uniformity was top notch, though there was noticeable leakage around the edges of the TV when a dark background was used. Again, that’s an issue common to nearly all LCD TVs.The MU9000 aced nearly all our color, motion, bleed, and pattern tests with the exception of fine vertical lines where it misplaced any number of them in a floating jumble. That’s a rarity, and it surprised us coming from Samsung. On the bright side, we were unable to find any non-artificial material where the problem reared its head. The playback apps on the MU9000 work well, understanding all the common photo, video, and music formats. That includes APE, FLAC, and Apple lossless audio, as well as nearly every flavor of h.264/265 video. The TV sounds pretty good on its own. There’s not a lot of bass, but you probably won’t feel the need to immediately run back to the store for a soundbar. Including standard dynamic range material, the MU9000’s picture is definitely a cut above anything we’ve seen in the last few years, barring quantum dot and OLED models, and the motion handling is outstanding. But as we said, it’s a cool temperature image. The MU9000 looks good, and presents a very smooth, even image with nice detail. And you simply can’t beat the interface and remote, although those are minor concerns when it comes to buying a TV. Color is a major concern and Sony seems to be ever so slightly ahead in that department at this price point. 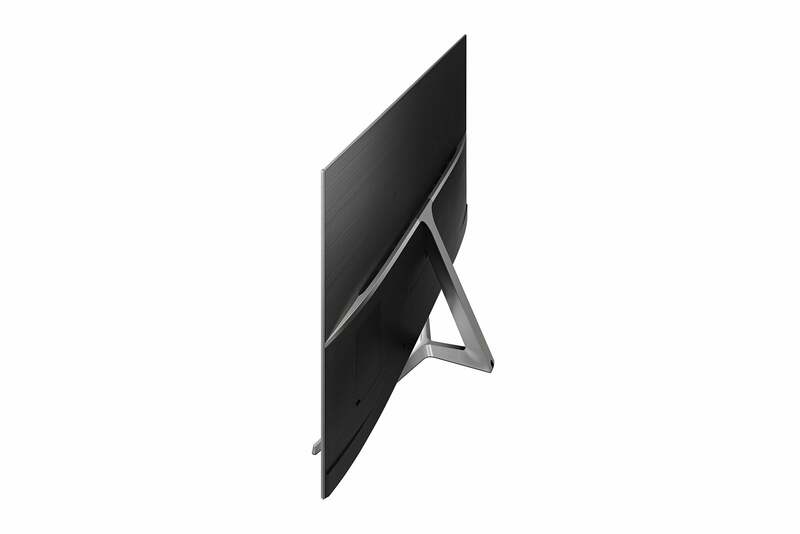 You might compare the Vizio P-series as well, but the UN55MU9000 will win some fans. While lacking the rich, highly accurate color of Samsung's QLED TVs, the MU9000 series holds its own with anything not using quantum dots or OLED. These are excellent TVs for the price. Lacks the accuracy and vibrancy of the company's SUHD and QLED TVs.